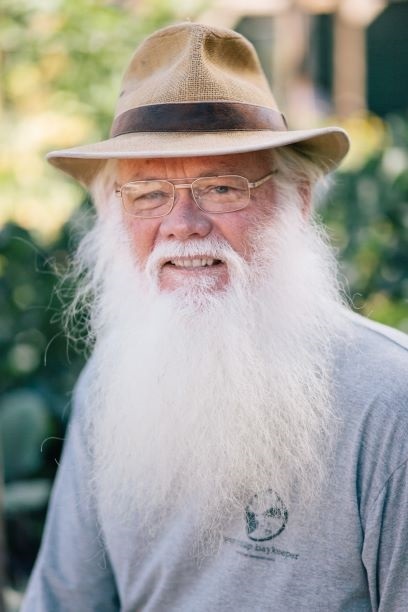 For over three decades, founding director of the EcoCentre Neil Blake (OAM) has been widely recognised and loved by the community for his deep knowledge, personable character, and extensive experience in environmental management, local history, biodiversity and community development. Neil is the Port Phillip Baykeeper for the global Waterkeeper Alliance, providing an independent voice for our Bay and its inhabitants large and small. He has a unique capacity to bring diverse stakeholders together, facilitate collaboration and produce tangible outcomes. Neil regularly participates on environmental panels and consults with groups including EPA Victoria, Melbourne Water, local and state government, and community groups. Hear Neil the last Sunday each month on Radio Marinara (3RRR) or in the award-winning doco Baykeepers. Neil inspires all ages to prevent plastic pollution, assisted by his alter ego Captain Trash, the musical pirate who teaches the five ‘ARRRGHS’: Refuse, Reduce, Re-use, Recycle and Remove. He is available for keynote speaking, media appearances, workshop facilitation and consultancy services. National Park Ranger by training, Karen’s career includes cave (karst) researcher, outdoor educator, environmental consultant, and almost two decades with local government creating, managing and delivering sustainability programs and initiatives. 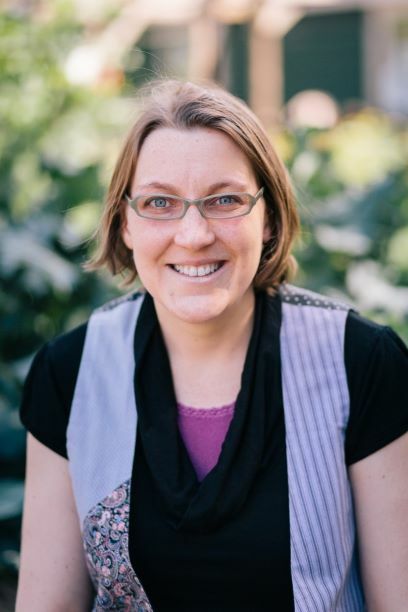 She is a trained ResourceSmart Schools Facilitator and Assessor and is in her element when working with schools inspiring them to embed sustainability into their classroom and curriculum. Karen is renowned for her unique mix of inspiration and knowledge, with an incredible environmental passion. 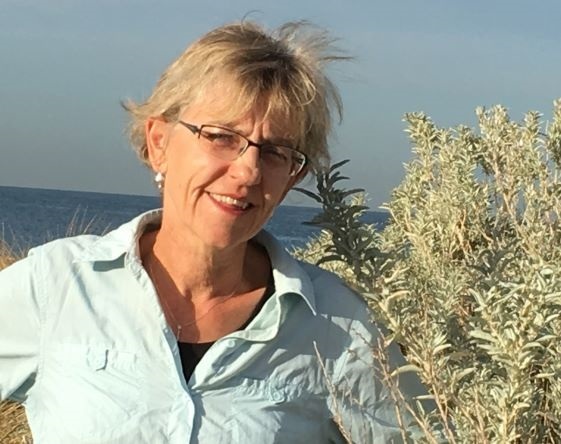 Her commitment to environmental education has been recognised with numerous awards including Environment Education Victoria (EEV), Landcare, Local Government, WeedBuster, and Victorian Coastal Council. Karen is an expierenced motivational speaker, workshop and panel faciliator and event MC. A pedagogy expert at place-based learning and nature play, Sharron runs the EcoCentre’s Expert In Residence program. 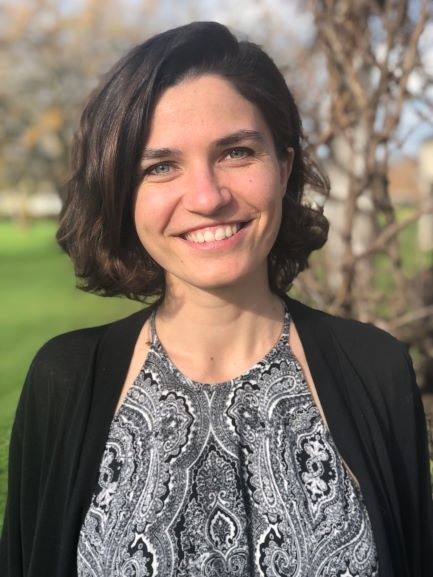 She helps teachers and principals integrate sustainability and environmental connection into school curriculum of all year levels, including for Early Learning Centres. She trains teachers for the Teacher’s Environment Network and is an experienced facilitator of Tomorrow’s Leaders for Sustainability and Resource Smart Schools. Following her studies in Anthropology and Koorie Studies, Sharron became a secondary school teacher. In this setting she brought together her passion for cross-cultural initiatives and her commitment to social and environmental justice issues. Her teaching career began in the western suburbs of Melbourne working in a school setting that was culturally diverse, working with students and their families across socio-economic divides and from many cultures, including refugee families from the Horn of Africa. 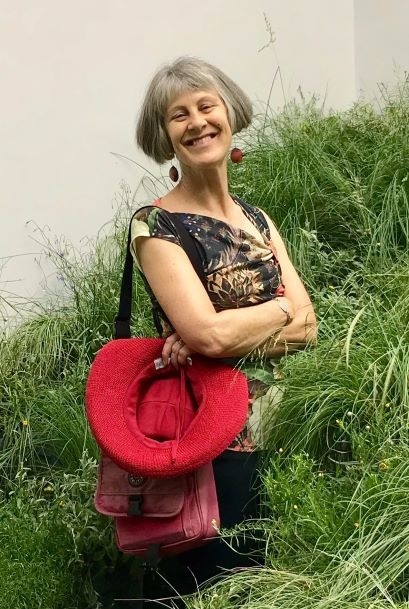 In recent years Sharron has travelled extensively through the United States and Vietnam conducting research into the effects of Climate Change on the interface between human endeavour and the natural world and the needs for strategies of mitigation and adaptation. Place Based Education for young people has been a focus for Sharron in her design and delivery of community education curriculum. She has trained with Al Gore in Cedar Rapids, U.S.A and applied that training to her work in communities. Sharron is available for keynote speaking and workshop facilitation, including immersive teacher’s Professional Development sessions of which the learnings can be taken straight into the classroom. Fam is a marine biologist (MSc) with specialisations in ecology, nature conservation and marine plastic pollution. Fam helps people connect to nature through science, storytelling and immersive experiences into their local environment. 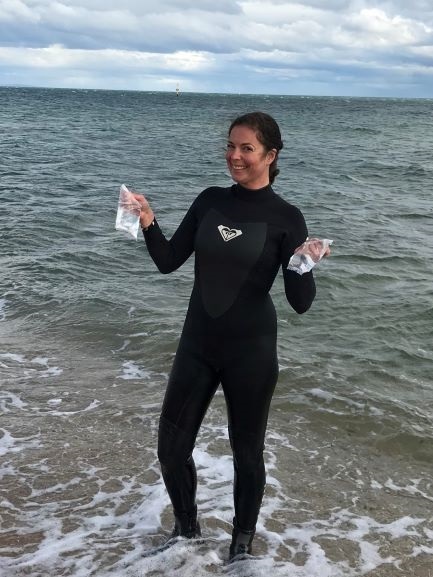 She leads several marine research projects for the Port Phillip EcoCentre, helping volunteers become skilled citizen scientists and contributing to a growing body of research on the health of Melbourne's big rivers and Port Phillip Bay. She is a passionate science communicator and uses science literacy to empower local communities in change-making. Fam is a Fellow of the Centre for Sustainability Leadership in Melbourne. She is also SCUBA instructor and radio host on Out Of The Blue, a weekly show about all things marine on 3CR Community Radio. Having visited 27 countries and lived in 3, Fam is a true global citizen. During and after finishing her Masters, she worked as a terrestrial ecologist in the Netherlands, helped establish a UNESCO Biosphere Reserve in South Africa and worked with the Great Barrier Reef Marine Park Authority on coral research. Diving coral reefs and temperate waters all over the world keeps showing her that her true passion lies with the one ocean that connects us all. Fam is available for keynote and public speaking, panel discussions, media appearances and workshop facilitation. Bel was born and raised in bayside Melbourne and has spent many years with her toes in the sand of Port Phillip Bay. She studied social science, environmental science and information systems and has more than a decade of experience working for local government in sustainability behaviour change and communications. She also has experience with food systems and improving the way we connect with our food in the city. Bel is a multidisciplinary artist working with found and natural materials, and uses her creativity to encourage and facilitate community connection with the natural environment. She is in love with the beauty and imperfection of the natural world and has a great passion for exploring and harnessing the healing power of plants, especially Australian native plants. With a background in engineering and experience in the corporate sustainability space, Reiko understands the big picture when she explores tangible community solutions to environmental challenges. She champions cultural diversity and seeks to foster inclusion within our multi-cultural communities through sustainability and improve our well-being by connecting deeply with our culture and the natural environment. Born in Japan and having lived in four countries, Reiko is a cross-cultural maven. She spent two years in Indonesia where she encouraged local schools in low-income urban communities to take up recycling, composting and classroom-based environmental education. Reiko is a Fellow of the Centre for Sustainability Leadership in Melbourne. She volunteers in community gardens and enjoys long-distance running along leafy urban trails. Belinda is a qualified, experienced educator who develops programs that give primary and secondary students hands-on learning experiences in real places, where students engage in real life issues in the context of the environment and heritage they are immersed in. She is particularly interested in ‘pedagogy of place,’ which she has used to incorporate drama and theatre into history. She works with schools and individuals on embedding sustainable practices as a means of building our future. 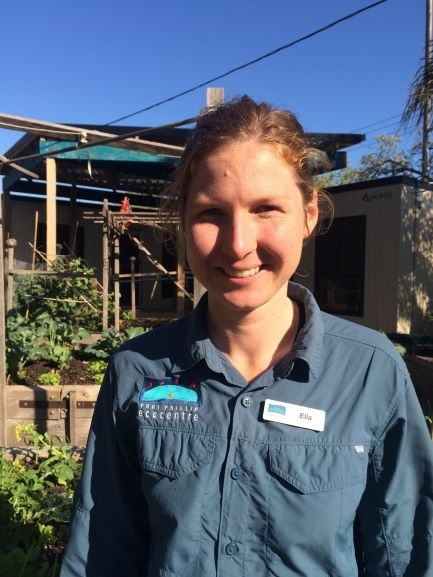 Born and bred in Melbourne, Belinda spent 21 years in Queensland, where, following on from studies in Environmental and Heritage Interpretation, she worked with Queensland Parks and Wildlife Service. Working on islands, heritage sites and World Heritage rainforests, she made displays, signs, a museum, delivered on park activities and trained others to help create experiences that connect people with the beauty, complexity and importance of the natural world. Book Belinda for your event. Deb comes from generations of farmers. She brings Landscape Design and Horticulture training to ther roles as Garden Coordinator and Education Programs Facilitator. 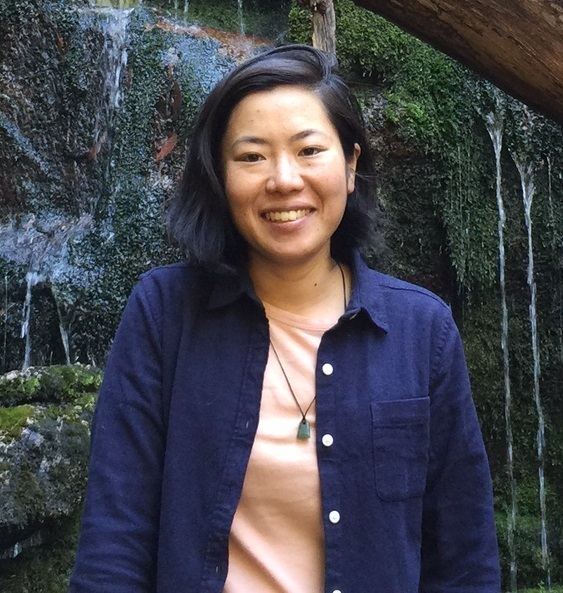 Her 5 years working in Singapore in early childhood settings has allowed her to use reconnection and sensory exploration pedagogy to empower individuals to take sustainable actions. 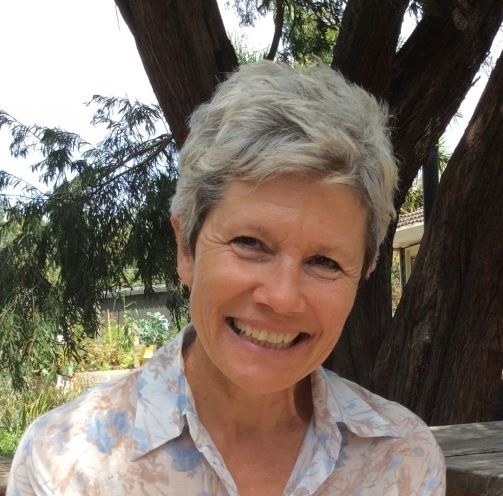 She also has a background in nursing and community work and aims to support individuals interweaving sustainability of self, environment and community through mindfulness of the everyday things in nature, sensory joys and growing, cooking and sharing food. She volunteers with Climate For Change organisation with an interest in our changing climate's effects on well-being and food security. In her spare time Deb conducts workshops and facilitates online ecopsychology and eco-art classes. Book Deb for your event. Ella is a qualified primary school teacher, specialising in STEM (science, technology, engineering and mathematics) education and ResourceSmart Schools. She completed her Masters of Teaching from University of Melbourne in 2015 and has since been teaching in schools around Melbourne. Ella has experience integrating science and sustainability into all areas of learning, inspiring students to see the connections in their everyday lives. Born in Canberra into a family of scientists and nature lovers, Ella grew up with a deep love for the bush and all things outdoors. Ella also loves to experience and learn from different cultures, having volunteered for one year teaching English to children in a refugee camp in the West Bank, Palestine. She is involved in the worker-owned co-operative movement which aims to provide people from diverse backgrounds with meaningful and dignified work, with a particular focus on creating more green jobs in and around Melbourne. Multi-award winning Gio Fitzpatrick is a dedicated 21-year-old urban ecologist and conservationist, who was endorsed for his environmental volunteer work by Sir David Attenborough at age sixteen. 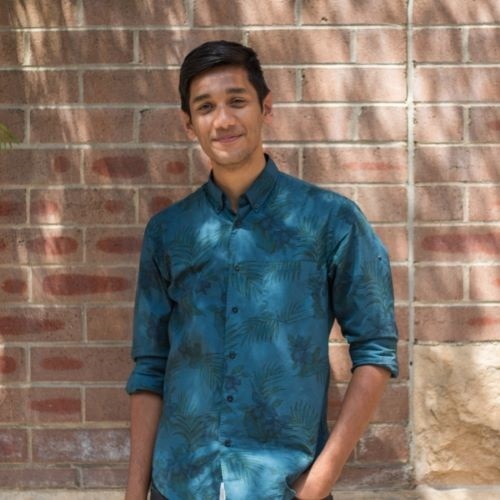 Gio has developed a reputation for knowledge and maturity far beyond his years, working and volunteering since he was eleven years old with multiple organisations including Museum Victoria and Port Phillip EcoCentre and is the convener of the Friends of Elster Creek. He has an innate ability to describe local wildlife to individuals and groups of all ages and backgrounds. Dedicated to understanding local species, Gio has recorded three fauna species never before seen in Victoria, taken the world-first video footage of an intertidal spider not seen since 1902, and attracted an unprecedented array of species to the 40 local nest boxes he designed, maintains and monitors on public land. He is currently working on a comprehensive, photographic field guide of the fauna of Elster Creek. When he’s not up a tree somewhere, Gio is available for keynote speaking, guided nature discovery walks and workshops in nest box building. Ben is a Vertebrate Palaeontologist with a background in prehistoric ancient marine organisms of Australia’s southern coastline. As an avid participant of palaeontological digs he has found evidence that is re-writing the known history of Port Phillip Bay including a new species of mega-toothed sharks (capable of eating baleen whales) and fossil evidence of the largest flying bird that ever existed. Ben is the science advisor for “Bayside Earth Sciences Society” and is creating a documentary series about the strange life of lesser-known animals that exist within Victoria. Ben brings his passion for the strange biology of animals both past and present to the EcoCentre Education Team and is skilled in interpreting complicated science for diverse audiences. If Ben isn’t fossicking in the field or in the lab, he’s available for keynote and public speaking, panel discussions, media appearances and workshop facilitation. Book Ben for your event. Matt grew up on the shores of Port Phillip Bay. 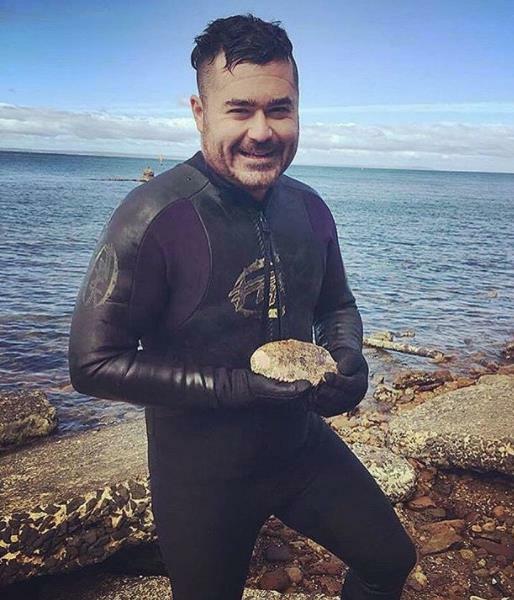 His childhood hobby observing the organisms in the rock pools inspired his career in marine science. 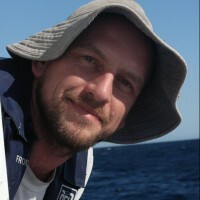 For the past 25 years Matt has researched and taught about marine systems around Australia, New Zealand and Antarctica. His passion for diving with, studying and photographing marine life translates into the passion with which he shares his knowledge and experience. Experience in radio, talking books and podcasts combine his story-telling skills for a variety of projects and roles in the science communciation field. Matt lives in Altona and is married to a fellow marine ecologist with whom he is raising two young children. Book Matt for your event. 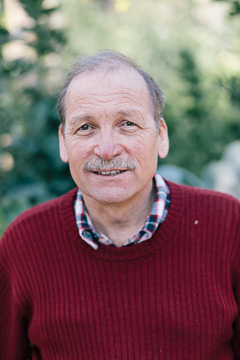 Our talented and entertaining Educational Facilitator Peter has a Melbourne University background in Botany, Ecology, Psychology and Horticulture. Peter has taught in a variety of Secondary Schools - typically Biological Sciences but more recently with a focus on Sustainability. As an Education Officer at the Victorian Schools’ Nursery, Museum Victoria and The Royal Botanic Gardens, Peter’s approach broadened into educational experiences for students outside of the mainstream classroom setting. A longtime local resident to Port Phillip and father to two vegetarian daughters, Peter delights in promoting our relationship and connectedness to the living world, both for the current and for future generations. Kate has worked broadly in education in several countries and with students of all ages. 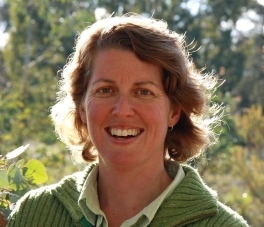 She studied Science at Adelaide University and has trained in outdoor education and drama in education. The natural environment has always been a special interest for her. She believes that the survival of our planet depends on the next generation developing understanding and respect for the natural world. 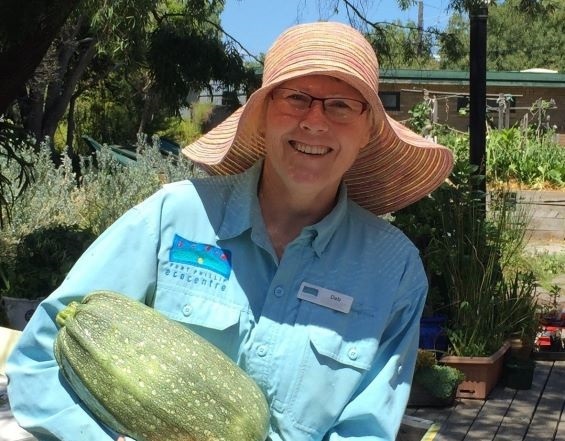 Most recently she was the garden specialist in the Stephanie Alexander Kitchen Program in a local primary school, incorporating themes of ecology and sustainability into the program. A committed environmental volunteer, Kate is involved at a grass roots level in local environmental issues and citizen science programs. She is a member of the Earthcare St Kilda penguin research team and coordinator of the local Waterwatch team. She is also a keen bushwalker and traveller and relishes opportunities to be out in the wild. business development activities of a start-up a social enterprise, supplying sustainable access to safe drinking water in developing countries. Combining her professional experiences with her passion for travelling, Coco identified the tourism industry as a platform for social change. She sees travels as a transformational experience where people are more open to learn and to challenge their ideas. For this reason, she moved to Australia and did a Masters in Sustainable Tourism Management. She is actively involved in the creation of educational and sustainable tourism in Melbourne. Malcolm has worked as a Primary School educator for the past 40 years. He is passionate about the natural environment and sustainable living and has made these an integral part of his work in teaching children. He has developed sustainability policies, established school gardens and Green Teams, and helped his school become one of the first 5 Star Sustainable schools through the Resource Smart Schools Program. He co-founded the Stonnington Sustainable Schools Network and has assisted many other schools and teachers in their journeys toward sustainability. He has been a presenter at numerous sustainability conferences and in 2016 was awarded ‘Sustainable Teacher of the Year’ at the School Sustainability Festival. 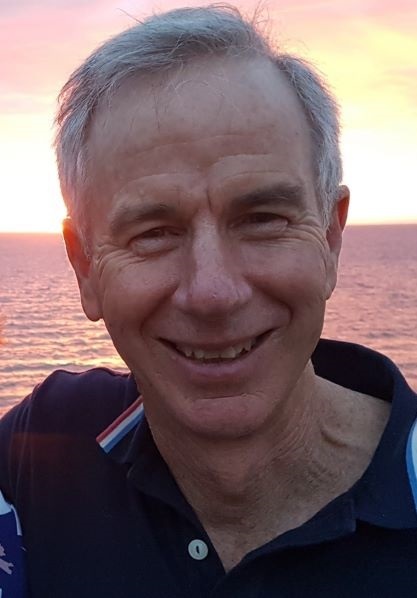 Malcolm is a member of a wide range of environmental organisations and has developed a wide range of skills, knowledge and expertise across many aspects of sustainability, including renewable energy, climate change, sustainable transport, biodiversity and species loss and forest ecology. Josh has worked in communications and marketing for various non-profits for the last five years. His life ambition is to use his strengths to empower others to use their own in whatever field they choose to pursue. His biggest passions lie in equality, justice, and sustainability, and he is currently studying a Masters of Environment & Sustainability to develop skills and knowledge in environmental security, particularly in the context of international development. He has a varied background, including studying Politics and Literature in university, working in the banking sector, and developing youth leadership in a global non-profit. Josh’s current goal is to combine his experience with his passion for the environment and sustainability to engage more people in protecting the Port Phillip Bay. Outside of work, Josh enjoys reading, exploring nature, and supporting Essendon in the footy. 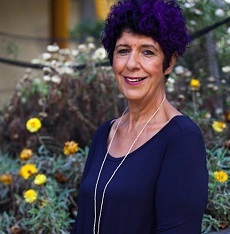 Winner of the 2011 National NAIDOC Elder of the Year, Arweet (meaning 'respected Elder') Carolyn Briggs is Chair and Founder of the Boon Wurrung Foundation, which she established to help connect Aboriginal youth to their heritage. Arweet Carolyn is member of the National Congress of Australia’s First Peoples and also established the first Aboriginal Child Care Centre in Australia. She has contributed to the development of Indigenous employment strategies for the State Government and is a former Director of La Trobe University's Aboriginal Tertiary Support Unit in Bendigo. As a mediator with the Equal Opportunities Commission, Carolyn was seconded to work with the Federal Attorney-General as head researcher for Victoria on the Muirhead recommendations to the Royal Commission on Aboriginal Deaths in Custody. Carolyn gained entry in the 2012 and 2013 Who's Who of Australian Women, and was inducted into the Victorian Honour Roll of Women in 2005. Today, she is pursuing a PhD in language and linguistics in the hope of recording her Boonwurrung language in oral and written form. Book Arweet Carolyn for your event through the Boon Wurrung Foundation. Our humble Dave is one of the longest standing staff, originally hired in 2003 to improve computer equipment, systems and mentor staff in IT. Now Dave is our essential 'jack of all trades' with no task too big or small - solving a crashing computer system or fixing the seal on the fridge. Hailing from the UK, Dave has worked in the corporate sector for names such as Coles Myer, Telstra and Honeywell, as well as for the UK Navy Army Air Force Institutes (N.A.A.F.I). Dave's Certificate IV in Assessment & Workplace Training, advanced MS Office and data processing skills and tireless trouble-shooting, make him a key component of the EcoCentres' operations. Dave fulfils valuable data monitoring, analysis and presentation of both the organisation's internal energy performance and for numerous project reports and research. When Dave isn't solving a problem, you can find him winning a game of pool down at the local pub.